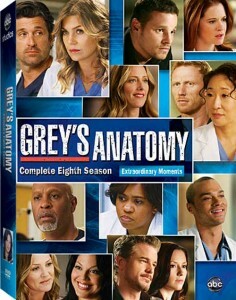 Are you a fan of the popular series Grey’s Anatomy? Well Lip Magazine has some copies of the eighth season to giveaway on DVD! With 24 drama packed episodes, follow Derek and Meredith trying to save their marriage by adopting a child; see Richard stepping down as Chief of Surgery as Owen takes over; and watch the fifth year surgical students feel the pressures of the job. For your chance to win a copy, simply email courtney@lipmag.com with your postal address and the name of your favourite character from the series. *Only open to Australian residents, only winners will be notified. This entry was posted in Featured, TV and tagged drama, giveaway, greys anatomy, hospital, patrick dempsey, season 8, susan oh, tv series. Bookmark the permalink.